Recently, we have fine-tuned the ability to measure and target corruption. However, this has not led to satisfactory impacts on anti-corruption efforts. One reason is that corruption mechanisms are complex and socially embedded. Multiple actors with multiple motivations perpetuate and practice corruption as part of the fabric of the everyday life. Additionally, power dynamics and difficulties in organizing against corruption problems prevent those negatively impacted to speak out against the seemingly embedded culture of corruptive practices. 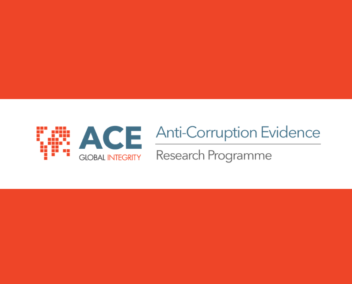 Whether technology can help in advocacy against corruption is also an emerging question. This study seeks to address these issues in the context of small-scale traders facing bribery and artificially raised prices at the Kenya-Uganda border. It proposes to run two randomized controlled trials on an existing mobile anti-corruption platform (Sauti) that aims to assist traders address corruption. We will complement this with political institutional analysis aimed to support advocacy for ethical border trading.